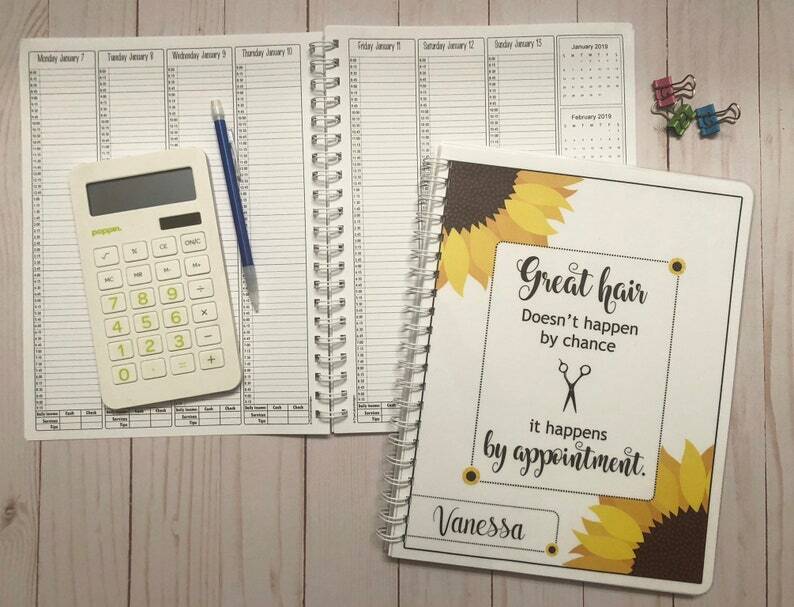 These yearly appointment book with optional Income Tracking and Expenses Tracking are perfect for your business. I love my custom client organizer, it’s the best thing ever and have everything I need in it! And the seller was show amazing with helping me get it exactly how I wanted everything I need. She even made me a price list to hang on my wall and price list brochures for my customers to get with my info. Best seller ever!! !